As is known to us, Apple products are very popular among people all over the world, especially for the young people. Most of us will use the Apple products such as Apple TV to watch videos during the spare time. Some of the Apple TVs only support limited audio and video formats, but videos on the Internet have various video formats. So sometimes, some people will face the compatibility problems when watching videos on Apple TV. Youtube, as a video interaction platform, is very popular among people all over the world; we can find many interesting and good videos here. Sometimes, we will want to download the Youtube video to play them on Apple TV. But most Youtube videos are with FLV formats, while Apple TV only supports limited video formats such as MV4. At this time, we may need a video converter to convert Youtube to Apple TV. How to play Youtube on Apple TV directly if there is format compatibility problem? You may ask this question to your friend. Here I will share with you a good Youtube to Apple TV converter – Leawo Video Converter. Leawo video converter, as a good and famous software that can solve any video compatibility issues. It is a professional video converter for video lovers to convert video and audio files between 180+ formats; It is a professional video converter for video lovers to convert video and audio files between 180+ formats; It is not only can help you convert Youtube to Apple TV, it can also convert other video formats such as MP4, AVI, FLV, MKV, MP3, Samsung Galaxy, MPEG and etc. The extra surprise it gives to us is that it can enable you to convert video and audio without any loss in the quality. Download and install Leawo Video Converter on your computer (Mac users should change to Mac version of Leawo Video Converter), and then follow the guide below to convert Youtube to Apple TV. 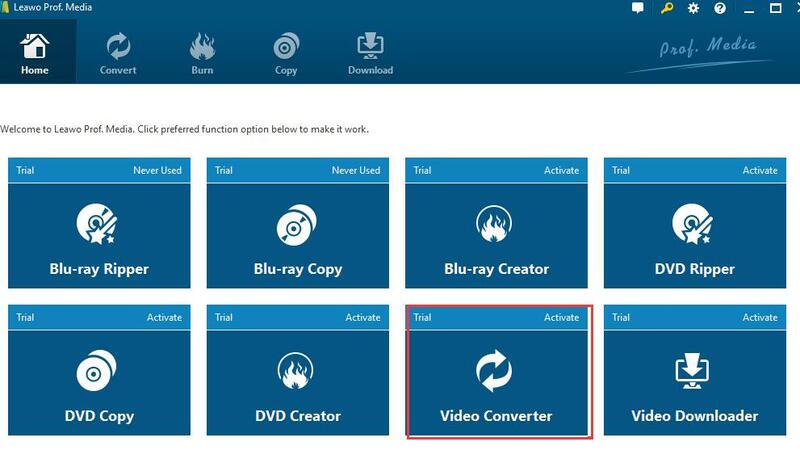 First, you need to install Leawo Video Converter on your personal computer. After it has been installed in your computer, you can launch the program. On the main interface of Leawo Video Converter, click on “Add Video” button on the sub-menu to load the original YouTube FLV video files. 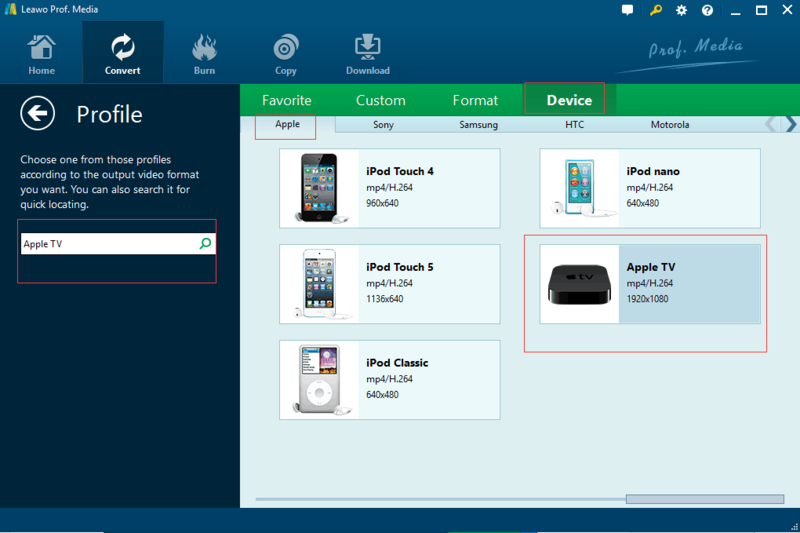 You can also choose to drag and drop the original video files to the software directly. Step 3: Choose “Apple TV” as output format. Simply click on the drop-down box which is next to the “Add Photo” button. On the list of the drop down option, select “Change” option. After that, choose the “Apple TV” as output format. Note: In order to provide the users with the best video and audio converter, Leawo Video Converter has the editing functions which provide you with the customization function to change the specifications of the video formats. 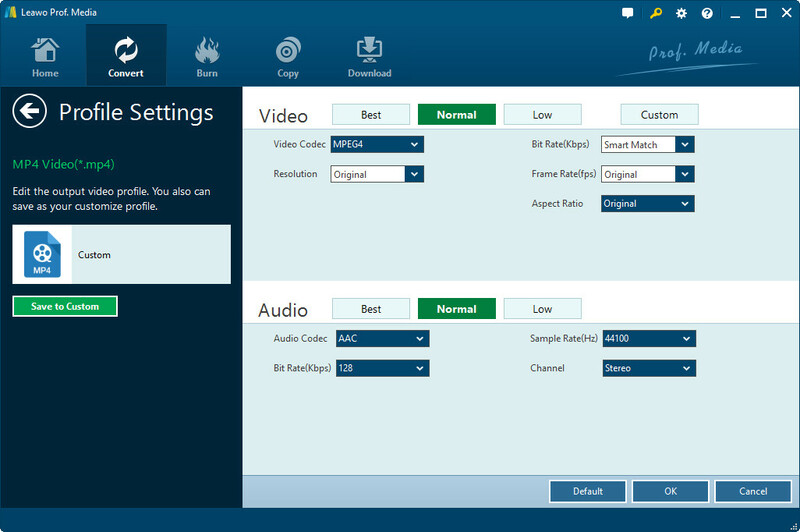 Simple click on the “Edit” button on the drop-down profile setting box to change video and audio specifications, such as video codec, aspect ratio, frame rate, resolution, audio codec, bit rate, channel, sample rate and many more. Your videos, you decide the best formats. Cheers! On the sub-menu bar next to the format setting drop-down box, you will see a big green “Convert” button, just click on it. Then please set output directory on the popup sidebar, the remaining time and conversion process are all visible to you. Wait for a few minutes patiently. After the whole conversion process finished, go to the folder where you have saved the videos and import them to your Apple TV. You don’t have to worry about how to play YouTube on Apple TV anymore. Just enjoy the clear resolution and interesting videos on your Apple TV without any limitations. 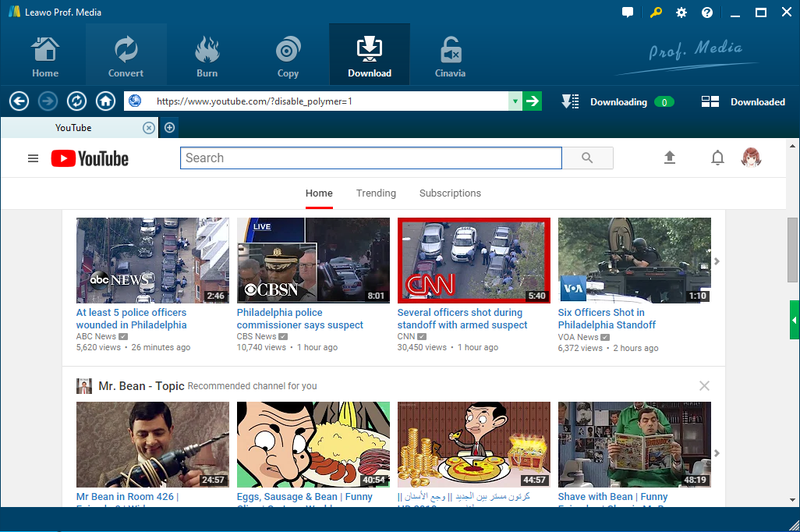 Kindly note you that YouTube doesn’t allow the users download the videos on it directly, so here I will also tell you how to download the YouTube videos in your computer with the best YouTube Downloader – Leawo Video Downloader. And Leawo Video Downloader and Video Converter are both the module that belongs to the Leawo Pro.Media. As you have downloaded Video Converter above, here you can directly turn to the “Download” module to learn to download video from YouTube or other video websites. The steps on how to download YouTube video are listed below. Open the “Download” tab to Import the YouTube videos, paste the video URL in the address box. 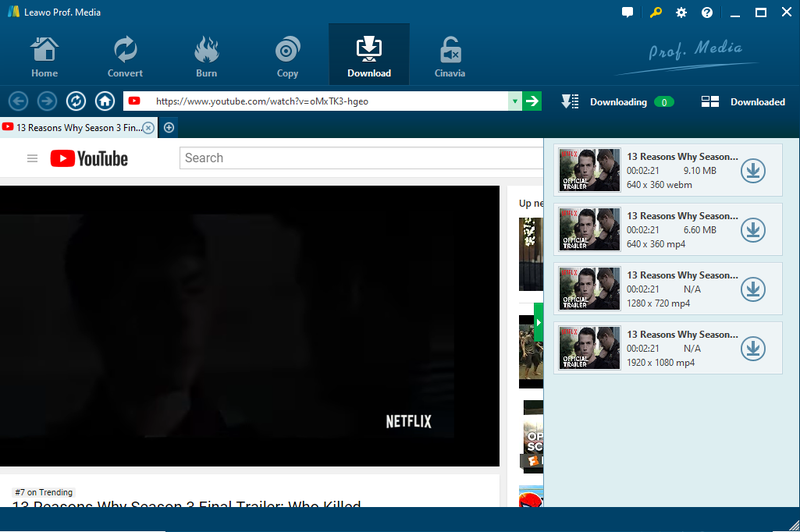 You can watch it directly with the built-in browser. The system will detected the videos you are watching directly. Click on the little green arrow on the right side to open the wait-to-select panel, you will find all options of target video at different resolutions. Choose the one which you want to download with the right resolution and click on the Download icon. Then Leawo YouTube Downloader will help you download the video automatically. Even during the download process, you can still playback the videos. You can check all the downloading files under the “Downloading” panel. The videos which have been downloaded will be in the option “Downloaded”, you can watch them here freely. Can you play Youtube on Apple TV? After I have introduced the Leawo Video Converter to you, do you think that will still be a problem what will perplex you in the future?